The first thing you should do when learning about a new country is grab a map and get acquainted! 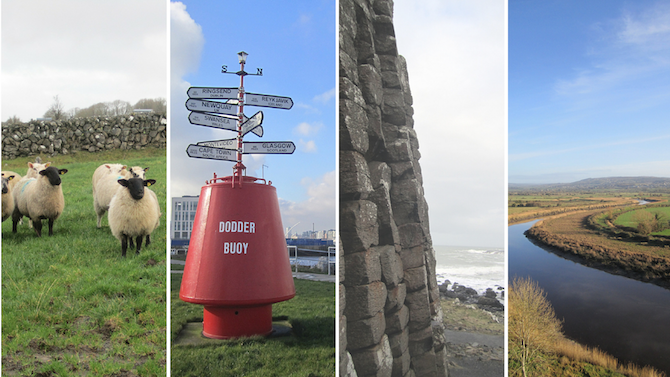 Is Ireland much further north from your current location and will the weather be an issue? It’s an island, so you are always somewhat near the sea! It is useful to know a bit of geography so when new Irish friends tell you they are from Wexford or Cork you aren’t left scratching your head, though they will happily tell you where it is anyways. It will be useful to know where the main cities and sights, such as the Burren or Cliffs of Moher, are located and you can even begin planning what you want to see! Of course there are many online resources available to you. But do you want to learn about aspects of Irish life from the Irish themselves? I have found Boards.ie to be a very useful resource as it provides online forums specific to many aspects of Ireland. You can find forums specific to many of the geographical regions, universities, hobbies, and of course the weather. Of course there are many online guides, such as the common TripAdvisor and Yelp reviews. However, often you can easily find specific sites dedicated to your own city. 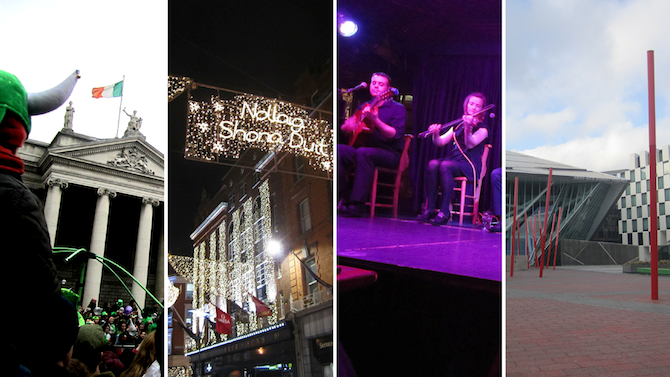 For example, in Dublin I enjoy using Dublin Event Guide, Visit Dublin, and Lovin Dublin. Additionally, Daft.ie is useful to gauge rental prices and information on accommodation, but don’t forget to view in person before securing anywhere to stay! If you are dedicating a significant amount of time and energy into going abroad you don’t want any big surprises when you go. Get to know how the administration works and who to contact if you find yourself needing help. In Trinity College Dublin the ‘rule book’ is referred to as the College Calendar and it is a great comprehensive resource for the students, it even contains the academic year calendar. Perhaps reading the lengthy calendar may not interest you if you are only staying for a semester, however I would highly recommend it and it is an essential read if staying for a while at your university! Similar to knowing the university lay of the land, it also helps to know as much as possible about your course. Do your homework and due diligence! Are there any mandatory modules, module perquisites, or study abroad options? Basic overviews of most courses are available online and there may be ‘Open Day’ material posted for prospective students. If there is a course handbook online read it, it will tell you all the regulations and proceedings regarding your course. If you are here for your whole degree then it is useful to read up on final year modules and have an idea which ones you want to take as there may be perquisites that you have to fulfil in the first few years of study. Another resource that may be available is past exam papers, great for revision when you are enrolled but also useful for getting an idea of the material on the course. If you have any questions or need further resources regarding a course then feel free to ask! The obvious place one may see university specific news and events is on the homepage of any university website. Want to know about more student events and what is on current students’ minds? Find the university student newspaper. 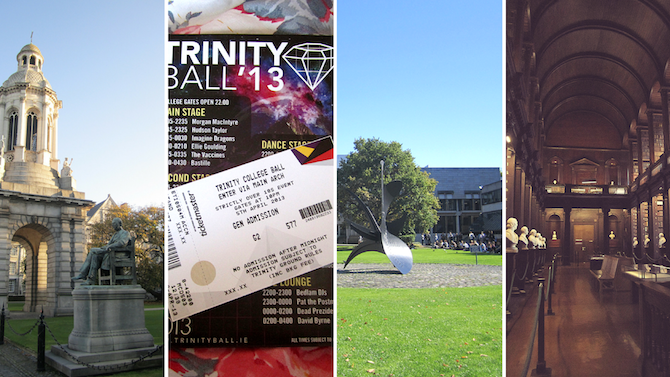 In Trinity College Dublin the main publication is the University Times, and there is also Trinity News. It is also useful to find the your university’s ‘Students’ Union’ on Facebook, Twitter, etc. Finally, you can trawl through the great student ambassador blogs now that you have found this great resource packed with practical information from those who have gone before you and chosen to study in Ireland. Questions? Leave me a comment below or visit the Education in Ireland website.